Most cancer patients who came to us are medically written-off cases. They have exhausted all avenues of modern medical treatments. So, in addition to detoxifying the body, we have to alleviate many other discomforts like pain, severe weakness, severe coughs with excessive phlegm or breathlessness, constipation (often, morphine-induced), ascites, distended abdomen, edema, etc. 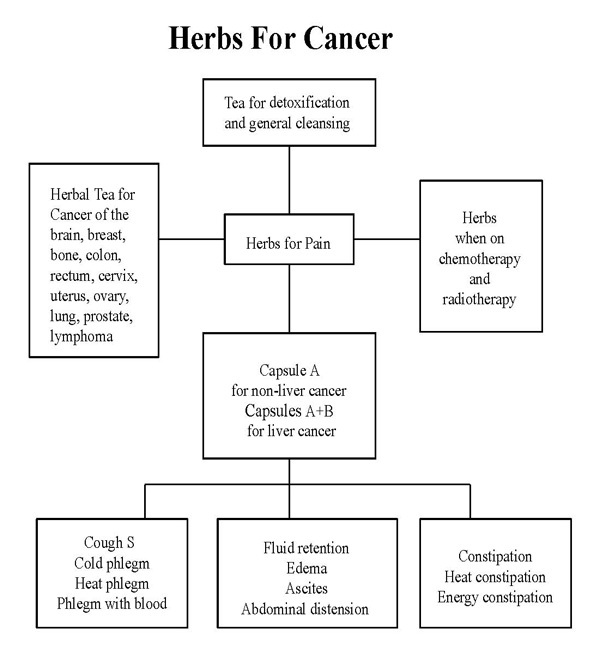 We have formulated herbal teas to provide relief and healing of such problems.